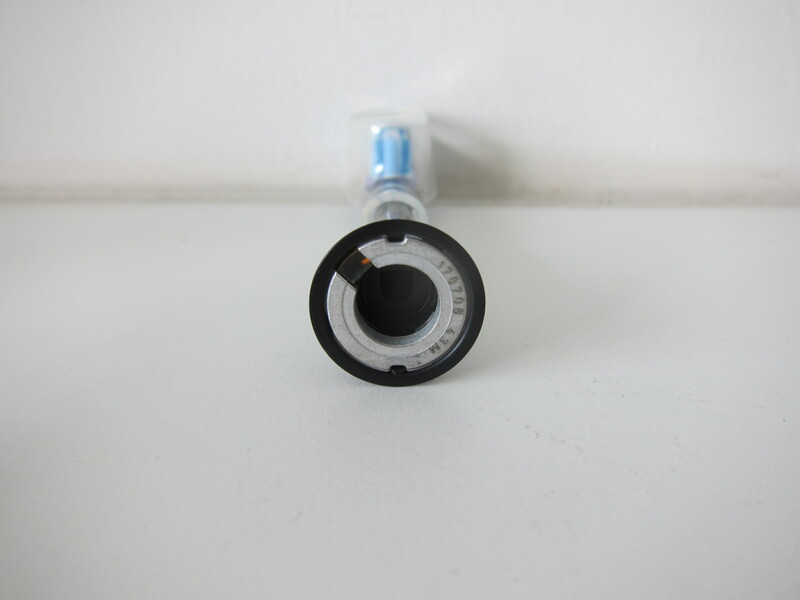 Each mode allows you to choose from three intensities: high, medium or low. High intensity boosts your cleaning process while low intensity is for more-sensitive mouths. Since this is a smart toothbrush, you will be able to connect it to your phone using Bluetooth. 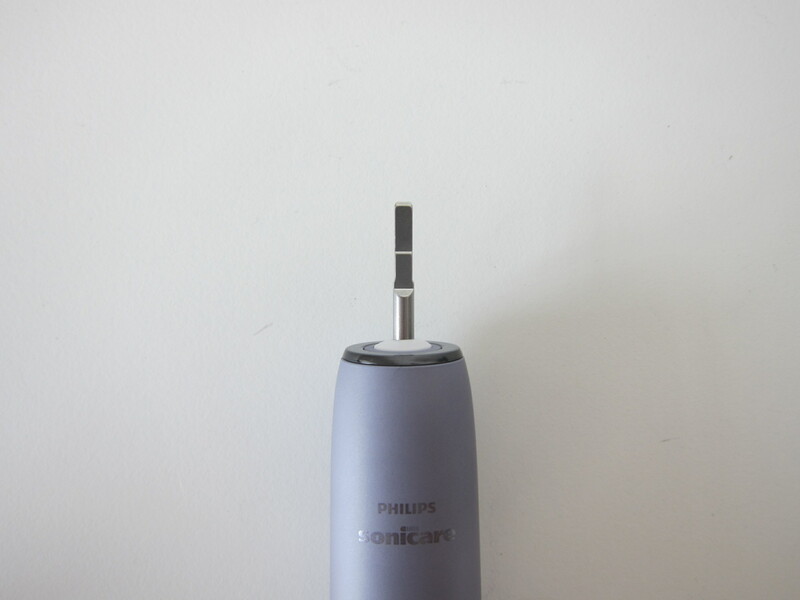 Using the Philips Sonicare app which is available on iOS and Android, it will be able to guide you on how to improve your brushing technique. Using the TouchUp feature in the app, it will generate a 3D mouth map which highlights missed spots and reminds you to pay extra attention to those areas. 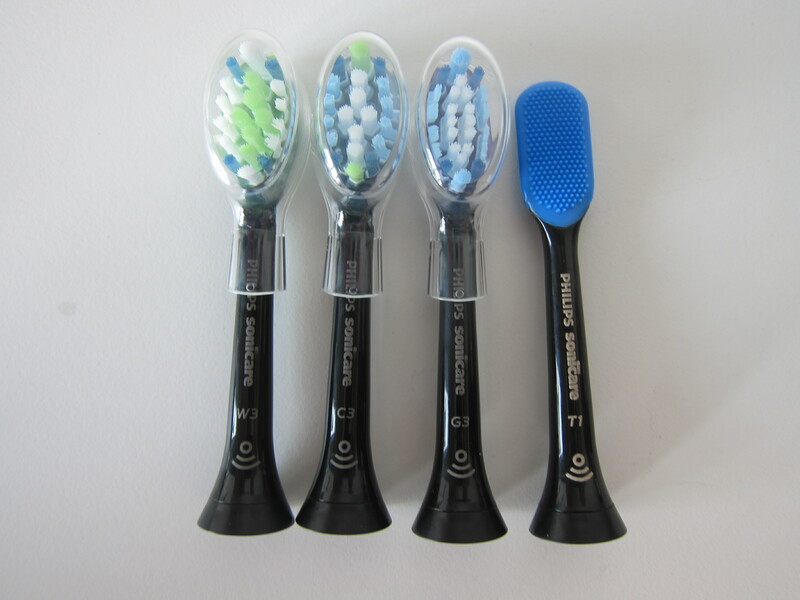 The default packaging comes with four brush heads, C3 for Plaque Control, G3 for Gum Care, W3 for normal use and TongueCare+ for cleaning your tongue. 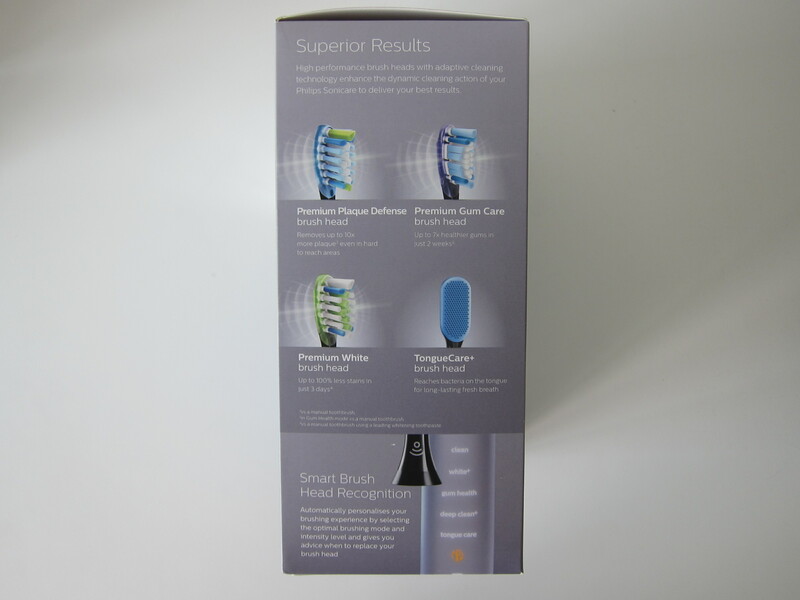 Not only is the toothbrush “smart,” the brush head is “smart” as well. 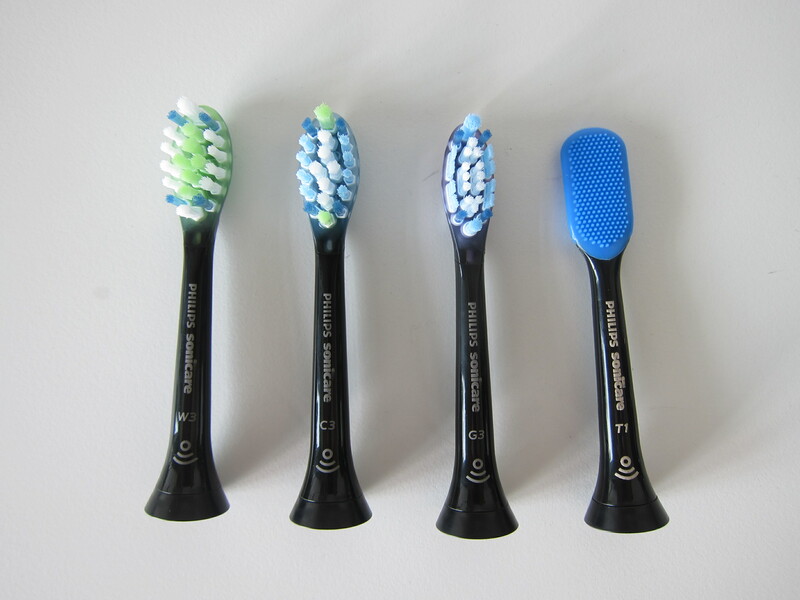 Each brush head contains a microchip that pairs with the toothbrush, allowing the toothbrush to automatically choose the optimal mode and intensity level for a gentle yet effective clean. I like how the way the toothbrush charges, right inside a glass cup. 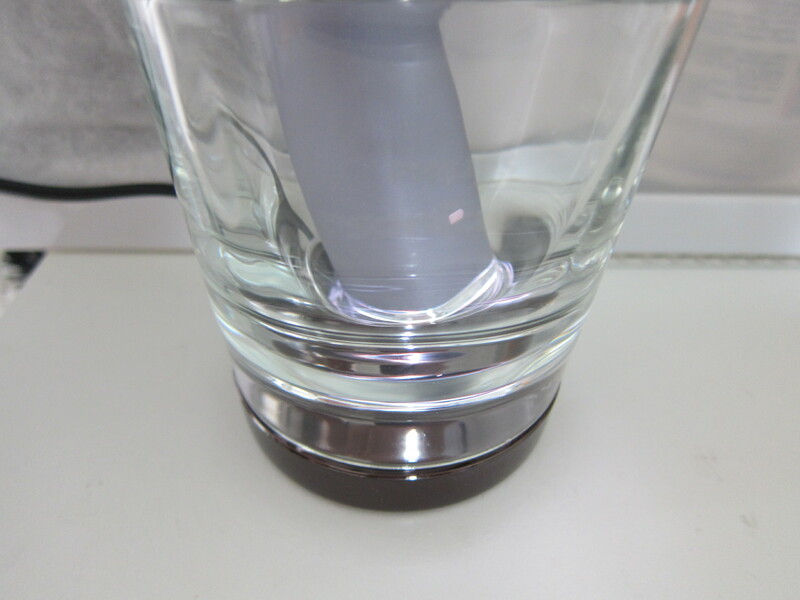 Because the glass cup is reflective, it reflects the charging indicator light very nicely. Since it charges wirelessly, similar to how my previous Oral-B Black 7000 SmartSeries Electric Toothbrush works, technically you can just place the toothbrush on the charging base without the glass cup. However, the charging base is not flat, and hence, unlike my Oral-B toothbrush, it can’t charge your toothbrush standing up. 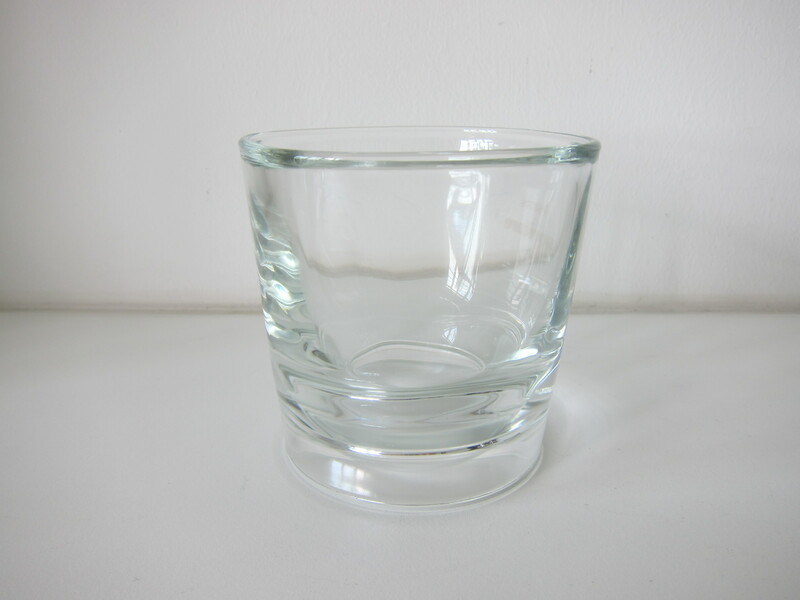 Your toothbrush needs to lean on something, and in this case, it is the glass cup. I usually will leave it to charge overnight, and each full charge can last you about two weeks of brushing assuming you brush twice a day. 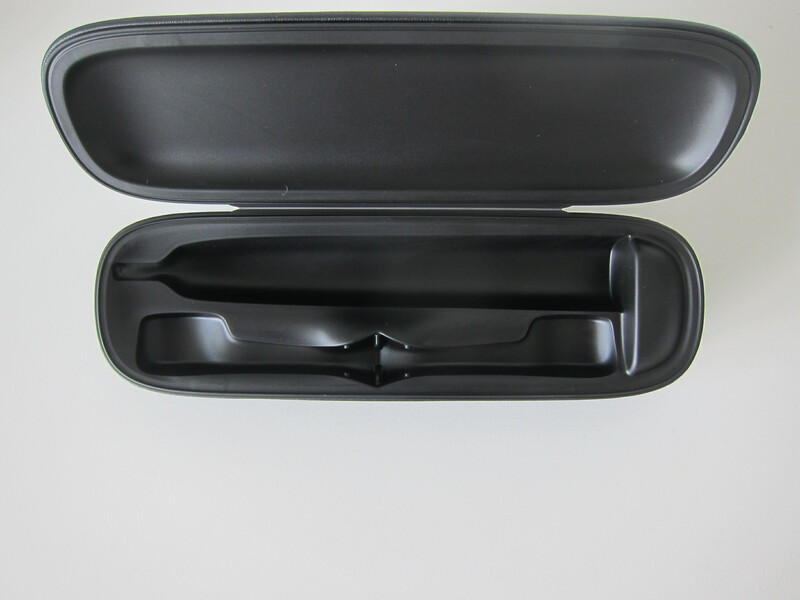 The included travel case is not just a regular travel case. 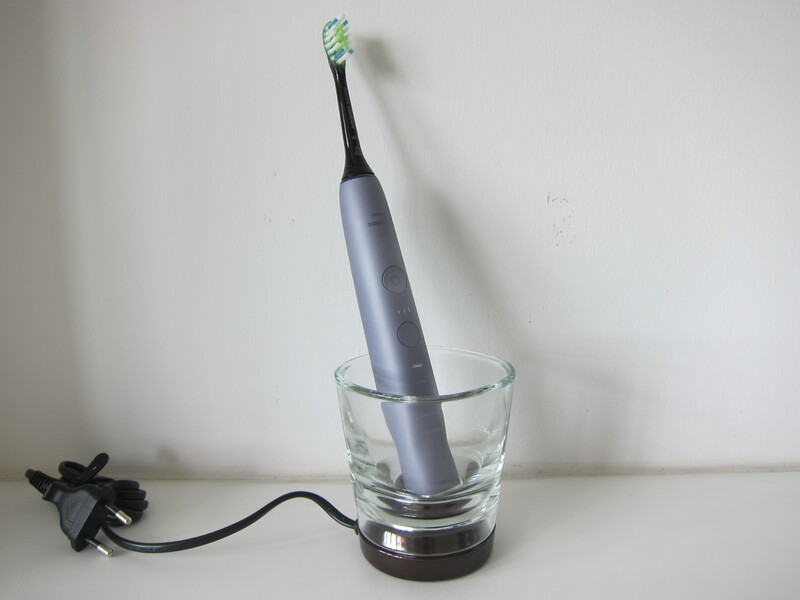 It acts as a charger as it allows you to charge your toothbrush via USB while the toothbrush is in the case. 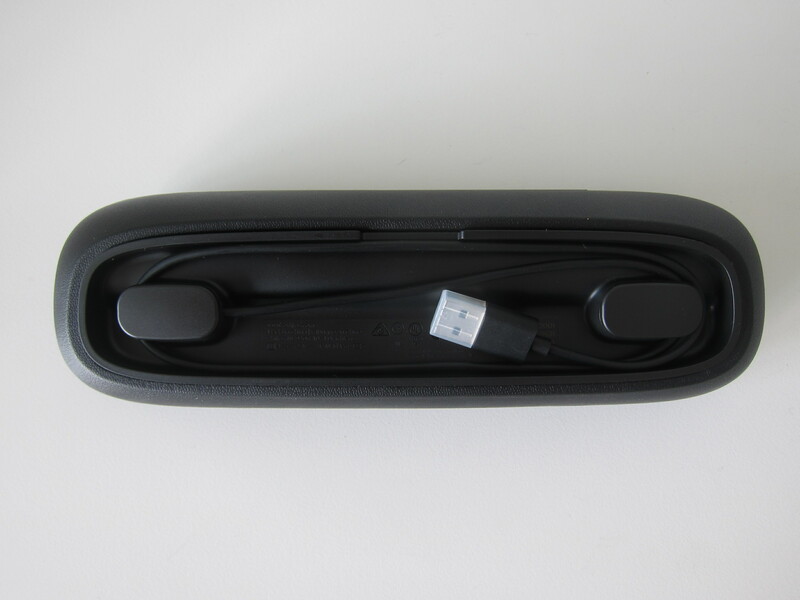 It is convenient as compared to the typical travel carrying case that is being bundled with my previous Oral-B toothbrush as I have to pack the main charger separately when I travel. 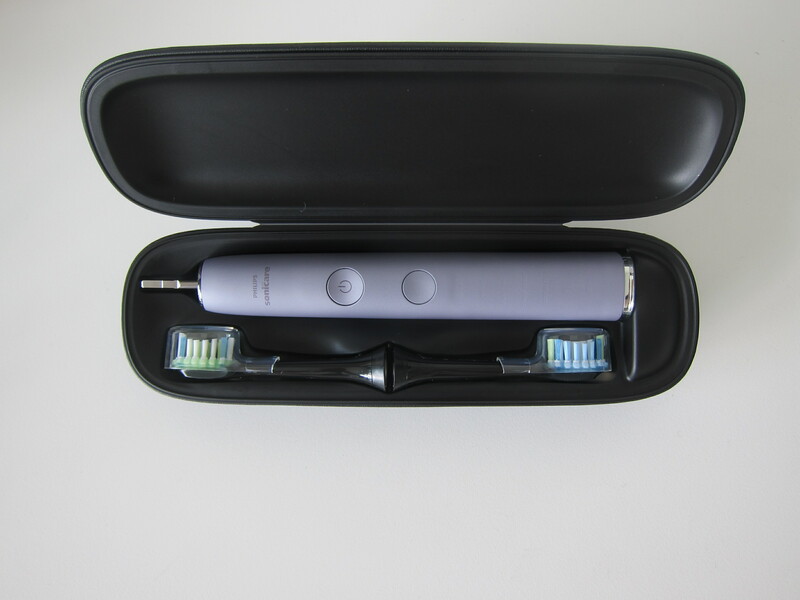 The case will fit your toothbrush along with two brush heads with their cover on. This toothbrush came just in time for my Japan trip, and I brought it along to Japan. I love the design of the toothbrush, it feels modern, and the illuminated display is a very nice touch. The toothbrush weighs 108g which makes it 30g lighter than my previous Oral-B toothbrush (138g). 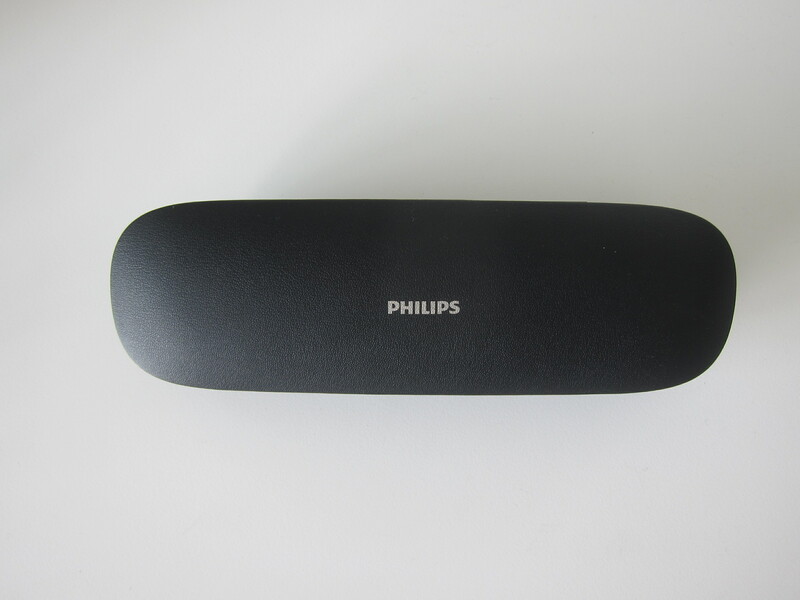 It has a slim ergonomic design with two buttons in front. One for power/intensity and one for switching modes. The display is illuminated. 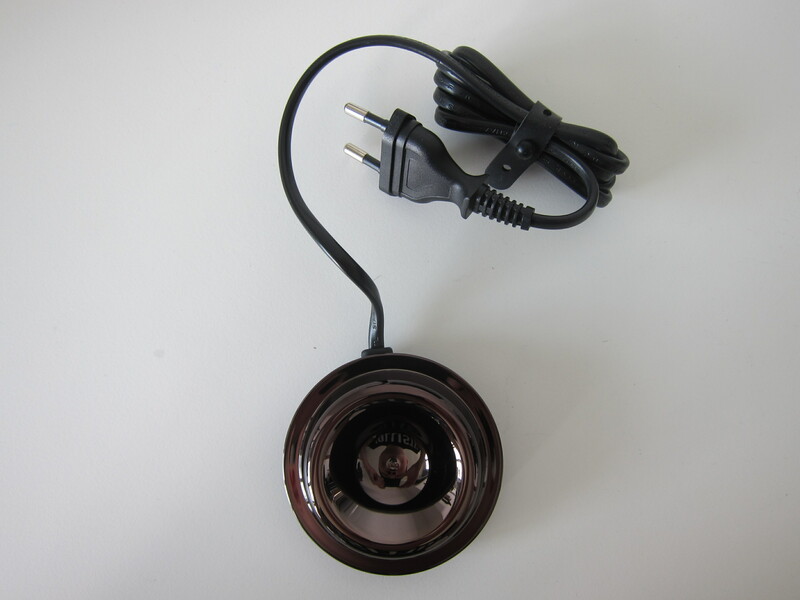 It shows the intensity below the power button and the cleaning modes below the mode button. The selected cleaning mode will be blinking. The battery indicator will only appear when it is being charged or when the battery is low. When powering on, it will appear for a few seconds before fading away. 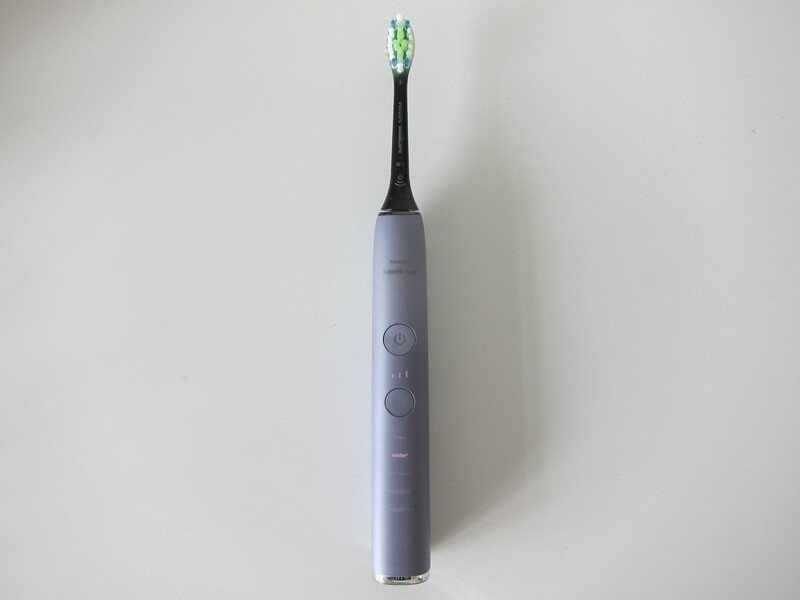 Whenever you lift up the toothbrush, the display will be illuminated without the need to press any buttons. Philips Sonicare iOS app is not optimized for iPhone X. Besides that, the app’s UI/UX is straightforward and functional but isn’t exactly the nicest looking. There are three main sections in the app, Progress, Goals, and Tools. Progress section keeps track of your daily brushing progress and lets you know if you are doing ok.
Fresh Breath Goal: Keep tracks of how often you floss, brush your tongue and if you brush for at least 2 minutes 2 times a day. Gum Health Goal: Keep tracks of how often you floss and if you brush for at least 2 minutes each time and if you are moving too quickly when you brush. Plaque Removal Goal: Keep tracks of how often you floss, spots you may be missing and if you brush for at least 2 minutes each time. Whitening Goal: Brush using White mode once a day. If you don’t like the default goals, you can create a custom goal. You can select up to three activities for each custom goal. Tools section is further split into three more subsections, Focus Area, Dental Professional, and Shop For Products. Focus Area allows you to tell the app which part of your mouth you want to focus more on and this will reflect in the Progress section. Dental Professional enables you to create a dental calendar appointment within the app and lets you show your dentist your oral health activities. Shop For Products is self-explanatory. I don’t find myself using much of the Tools or the Goals sections. The Progress section is the only screen I use day to day. The day has come that our toothbrush has firmware and they can be upgraded. The app also gives you information about your current brush head and when it is time to change it. If you do not like the default start location for brushing which is the left side of your upper teeth, you can change it in the settings. I switched it to the left side of the lower teeth. The most obvious difference between this toothbrush and my previous Oral-B toothbrush is the way the toothbrush brushes. Oral-B brush head is circular, and hence the surface area is smaller. 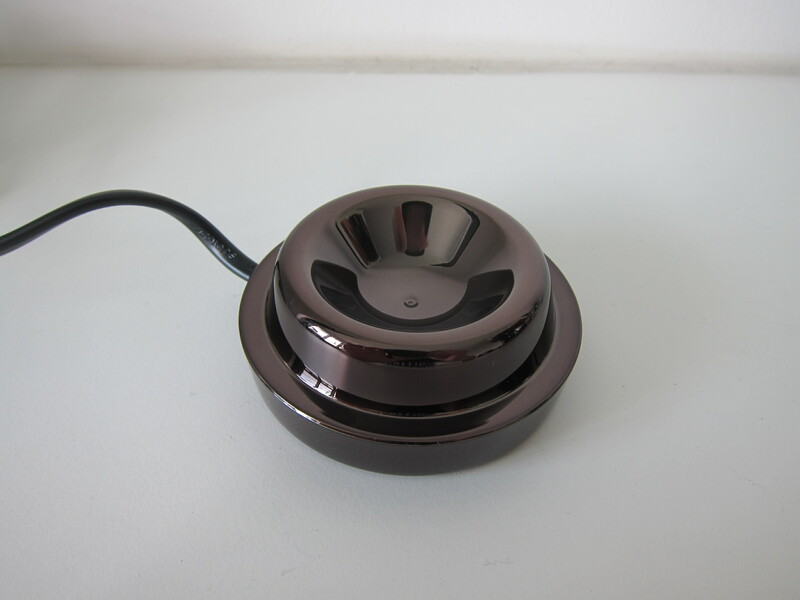 It uses oscillating and rotating technology that does 40,000 oscillations and 8,800 pulsations per minute. The brush head for this toothbrush is like a regular toothbrush’s brush head. It is longish in shape, and hence the surface area is slightly larger. 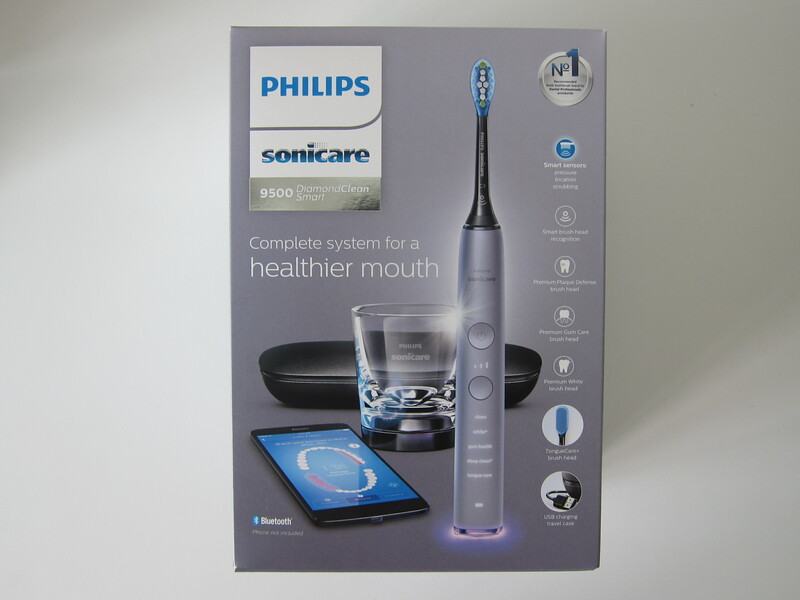 The toothbrush uses vibration technology (Sonicare) and does 31,000 brush strokes per minute. 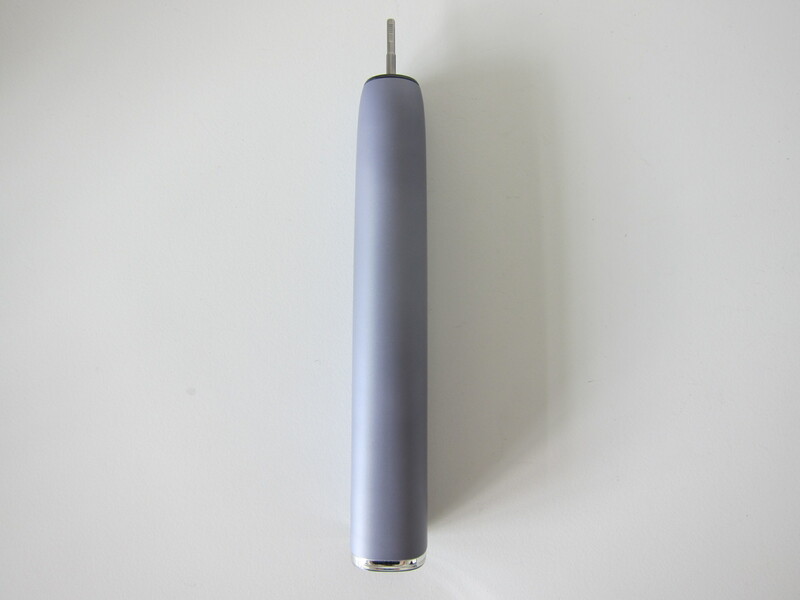 After trying out this toothbrush, I prefer vibration over oscillating/rotating. It feels less mechanical, and I don’t have to move my toothbrush too much as the brush head coverage is enough. In fact, I just have to move only 12 times, six for the lower teeth and six for the upper teeth. And that can be further split into front and back. Connecting the toothbrush is seamless with my iPhone X. 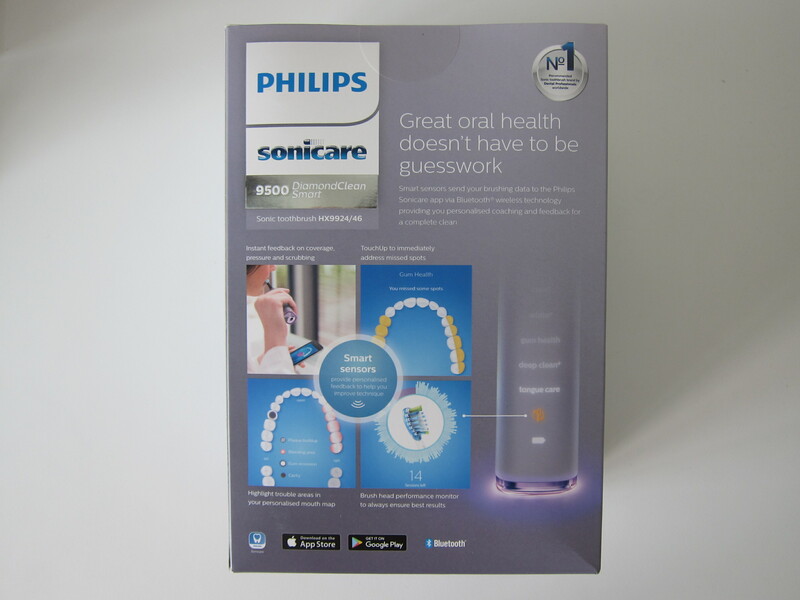 Just launch the Philips Sonicare app and power on the toothbrush. I leave all the settings by default, and that makes the default timer to be two sets of two minutes each. The first set is used to brush the front of your lower and upper teeth and the second set is what they called “Touch Up” is used to brush the back of your teeth. I am used to bending forward when brushing my teeth. I realized sometimes when I do that, the toothbrush will not be able to detect that you have brushed some areas. So now I brush my teeth standing up straight. Whenever you brush your teeth, the toothbrush will keep track of miss spots, pressure, and scrubbing. It will alert you accordingly in the app in real time. So when I brush my teeth, I placed my mobile phone in front of me on the edge of my bathroom sink. Luckily, these days mobile phones are water resistant. From the summary of my brush, I tend to scrub (indicated in pink) and that is a bad habit gotten by using my previous Oral-B toothbrush as the surface area of the brush head is smaller, and I am impatient. As for the miss spots indicated in yellow, I will pay more attention the next time I brush. I am slowly getting used to this smart brushing teeth routine, and once I have gotten used to it, I can’t go back. Sometimes the app will crash and sadly it will not remember your previous progress, unlike the Nike+ Running App. So that means you will need to restart your brushing progress again. I will not do that since it is kinda a waste of time, so I hope they fix it in future updates. After using this toothbrush for more than a month, I can see why most of my friends recommend Philips electric toothbrushes over Oral-B ones. The Sonicare technology felt better and sounded less mechanical than the oscillating/rotating technology found in Oral-B toothbrushes. 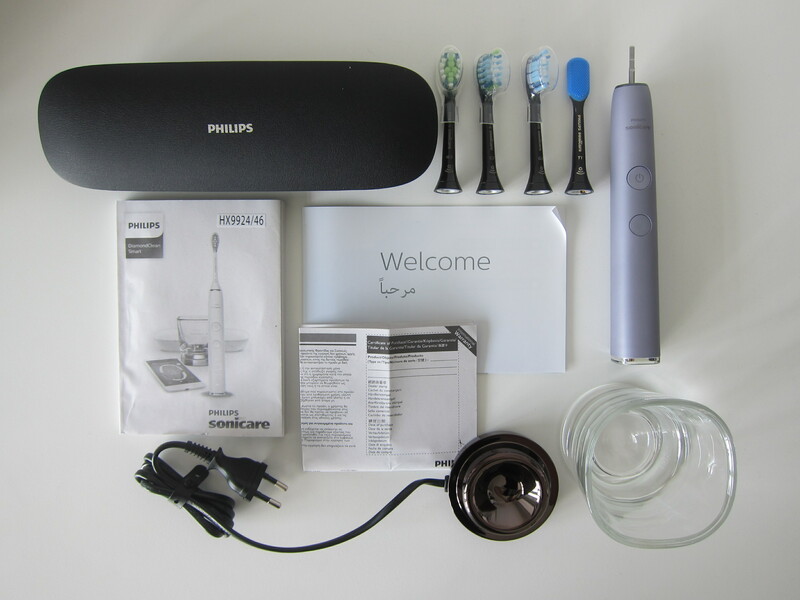 Priced at S$399, many people think that it is too much a price to pay for a toothbrush. But trust me, once you hop on the electric toothbrush bandwagon, you will not look back. I have been on it since 2004. There might be cheaper electric toothbrush out there, but based on my experience, those toothbrush does not have enough power. 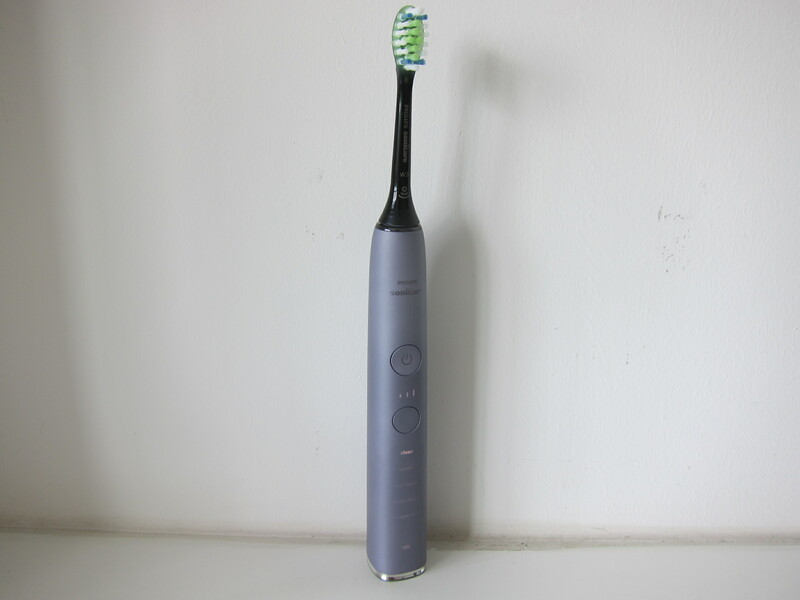 One of the reasons it is priced so high is because this toothbrush is smart. 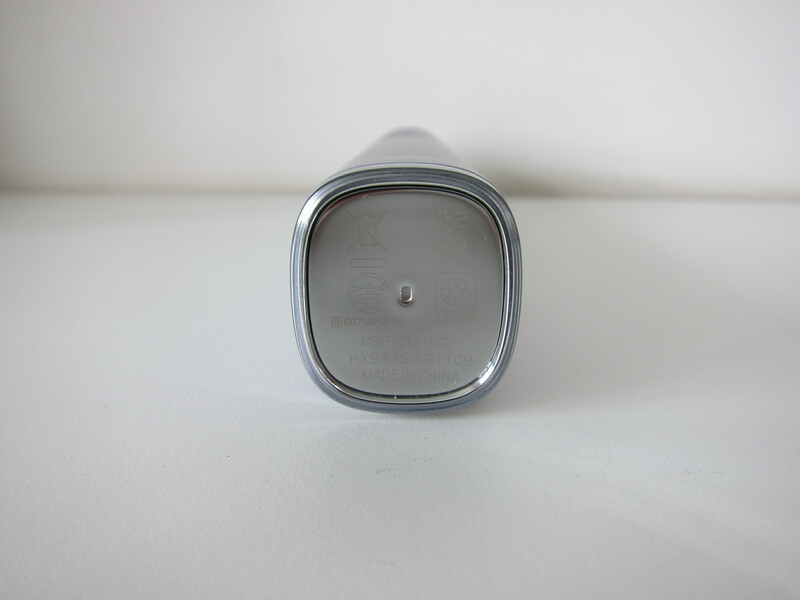 There are sensors inside the toothbrush, and also, there are microchips in the brush heads as well. 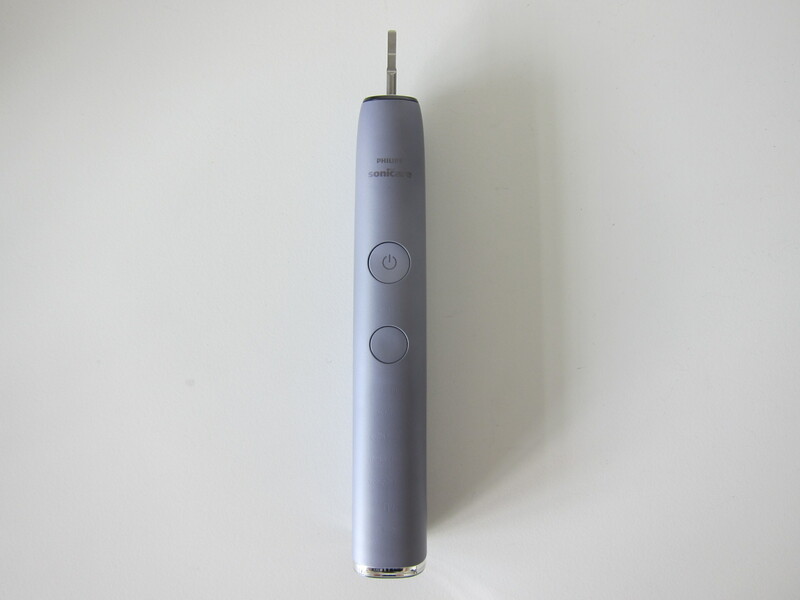 The design of the toothbrush is slim and light. 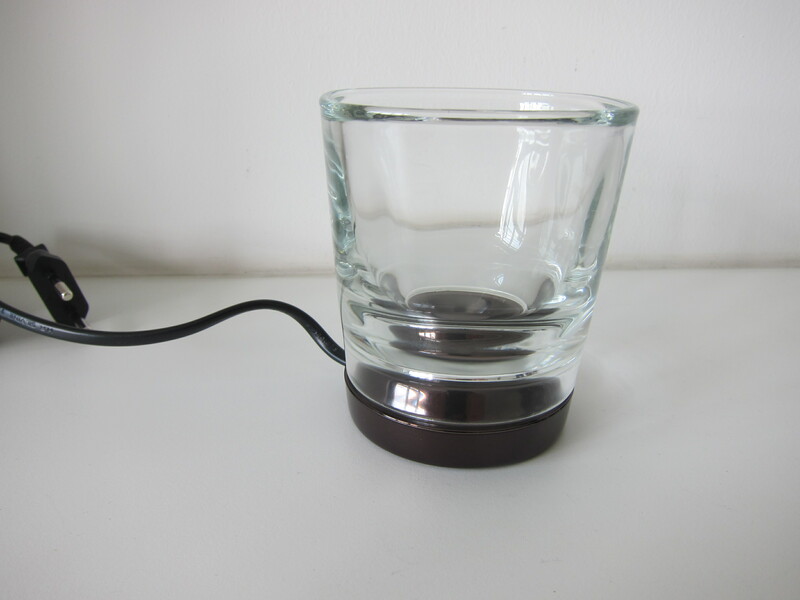 The charging base has a glass cup on, and it is a nice touch. Kudos to the person who thought of that. 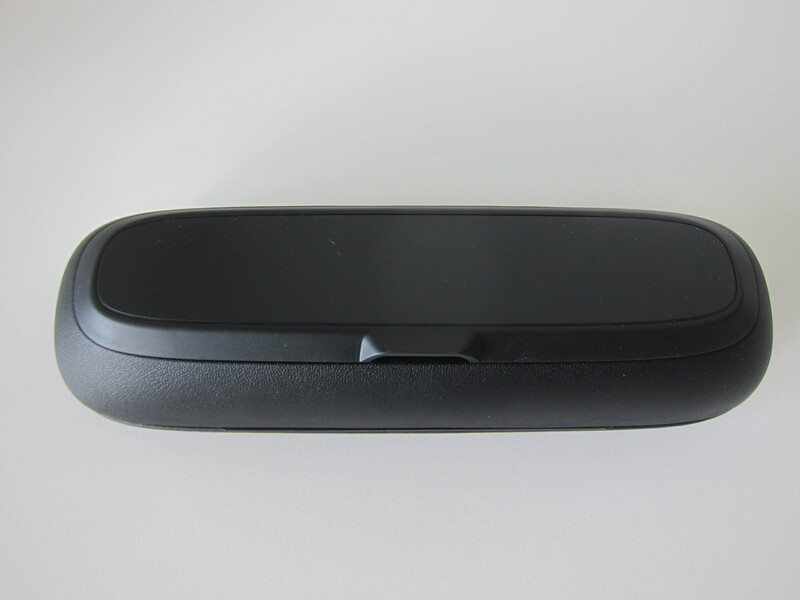 My favorite accessory of the toothbrush is the travel charging case. That is because you can charge your toothbrush with it using a USB charger, and hence you do not need to bring along the primary charger. As you can see from the accessories, they are already premium items by themselves. Sonicare App keeps tracks of your brushing progress, maps out a 3D map of your mouth and in turn, allows you to identify miss spots. I am trying to make it a habit to review my brushing session every time. So far so good. 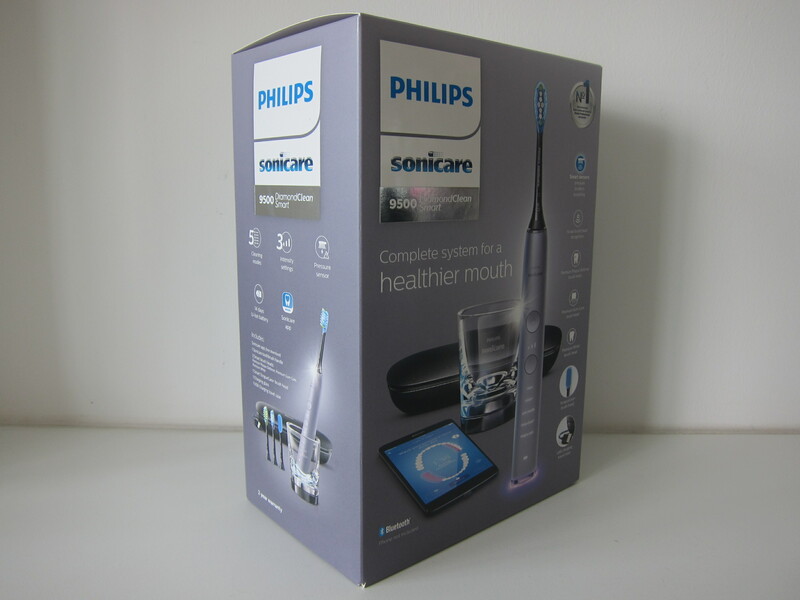 When compared to a manual toothbrush, Philips said that the Philips Sonicare DiamondClean Smart Electric Toothbrush removes up to 10x more plaque and 100% more stains in 3 days, giving you up to 7x healthier gums in 2 weeks. This page is generated on 21st April 2019, 05:06:34 (UTC) in 0.411s with 18 queries using 6.0 MiB of memory.